If you use multiple computers at your workplace, you know how frustrating it is to share data across them. Either you have to use a removable drive or you have to set up a home or small office network connection between both computers and share files, documents, screenshots etc. After you have set up the network connection, you can move files and folders between two computers from the “My Network Places” folder in Windows. But what about Windows clipboard data ? How do you share copied data from one computer to another, when both of them are not connected to a home network? How do you share screenshots, URL(s) and copied text with a remote computer? 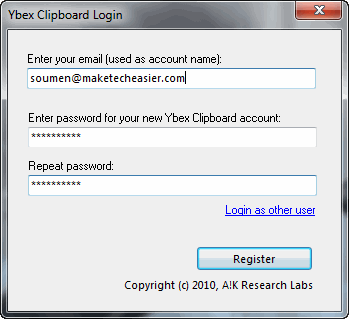 Ybex Clipboard is a free application for Windows which lets you share clipboard data with a remote computer in just one click. 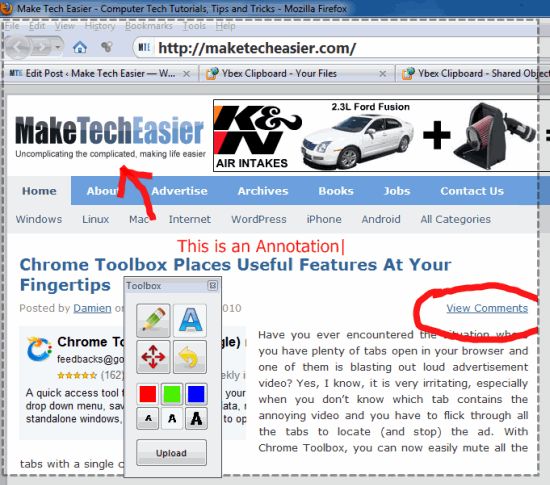 You can also capture screenshots, annotate your screen area and share the image with other systems. The idea behind Ybex clipboard is that whatever you copy and share with the Ybex application is immediately uploaded to your Ybex account. Then the same data can be accessed from a remote computer, provided that it is already connected to the internet. 1. 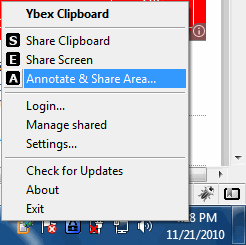 Download Ybex Clipboard and install the application on one of the computers from where you would be sharing screenshots and windows clipboard data. 2. Once the application is installed, run the program and sign up for a free Ybex account with any of your email address. 4. All set, your host computer is ready for sharing clipboard data, screenshots etc. Now install the application on the remote computer – when you are asked to login, provide the same email address which you provided in the host computer. The setup procedure is complete. 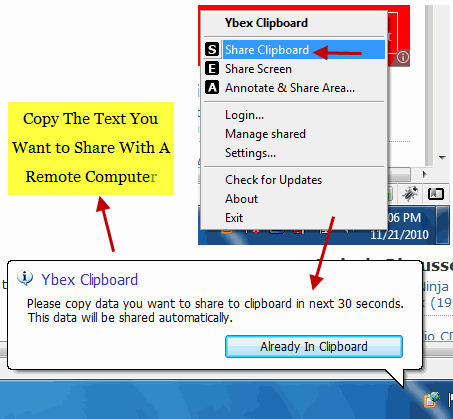 To share clipboard data between the host and remote computer, all you have to do is copy the text you want to share, right click the Ybex system tray icon and choose “Share Clipboard”. This will immediately open a balloon notification requesting you to copy the required data within 30 seconds. 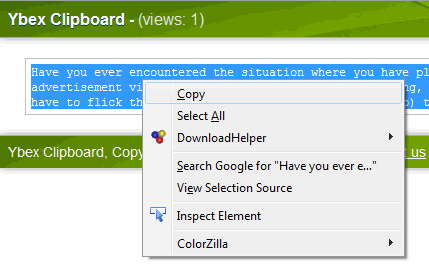 If the data is already in your Windows clipboard, hit the “Already in Clipboard” button. All done, the data will be immediately sent to your Ybex account. When you want to access the same text on the remote computer, simply select “Manage Shared” from the system tray icon. 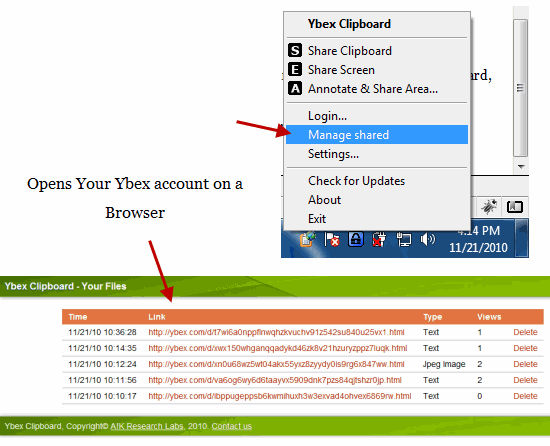 This will open your Ybex account on the default web browser with a list of recently shared items (images or text). All entries are automatically sorted according to their type and the date of sharing. Hit the last item and this will open a new browser tab, containing the entire data shared from the host computer. Select the text, right click and choose”Copy”. That’s it – the clipboard data of the host computer is now sent to the clipboard of the remote computer. It’s ready to be used anywhere e.g a word document or a browser address bar etc. This is very useful when you want to send a URL, a paragraph or other clipboard elements to another computer without having to email everything. 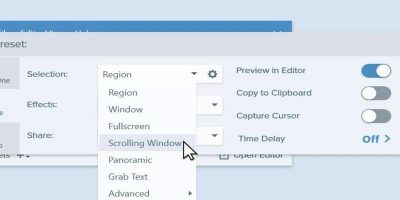 Just keep the application running in both computers and share every clipboard information with a simple right click. Neat! In addition to text, Ybex also supports sharing screen mock up’s and annotations between two computers that are not connected through a home or office network. When you are done annotating the screen, hit the “upload” button and the image will be sent to your Ybex account.When you want to see the screen mock up on the remote computer, click “Manage Shared” and choose the link from your browser. 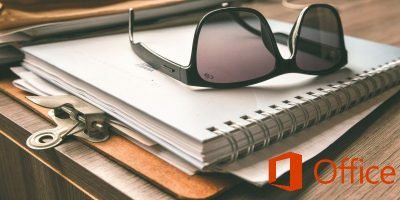 All in all, Ybex clipboard is one of the best tools to share clipboard data and screen mockups between any two computers connected to the internet. There are no limitations on the number of shared items that you can keep in your Ybex account. One of the downsides of Ybex is that the application does not allow you to share files with the remote computer (luckily you can easily do it with Dropbox). Otherwise, it’s a pretty decent little tool which every web worker should make use of. 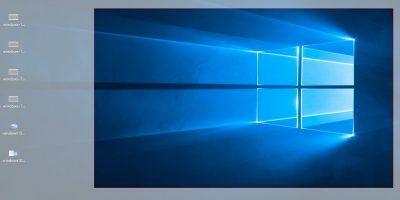 If you are looking for more window clipboard tools, check out our earlier article – 5 free clipboard managers for Windows. If I’m working on multiple machines, I much prefer Synergy (http://synergy-foss.org). 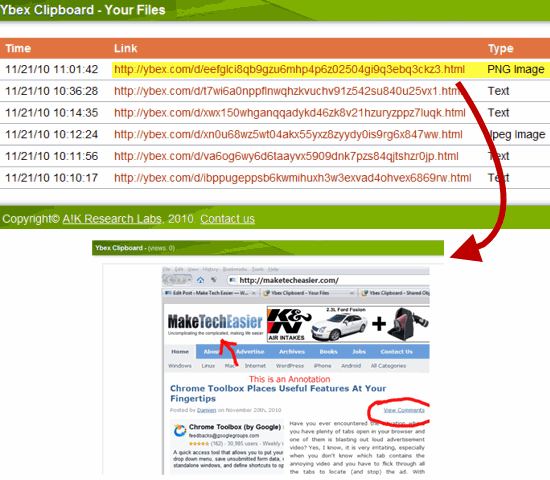 In addition to sharing clipboard, it also allows you to share a single mouse and keyboard. You also don’t need to sign up with a third-party service, and it’s open source and cross-platform! Thanks for bringing Synergy to our attention, it sure looks like a great software. Thank you for review, but you missed that copying data between computers much easier. Just press Ctrl+Shift+Y and you will see additional commands. 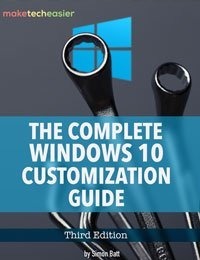 “Remote copy/paste” will allow you to copy rich formatted text between computers, for example.